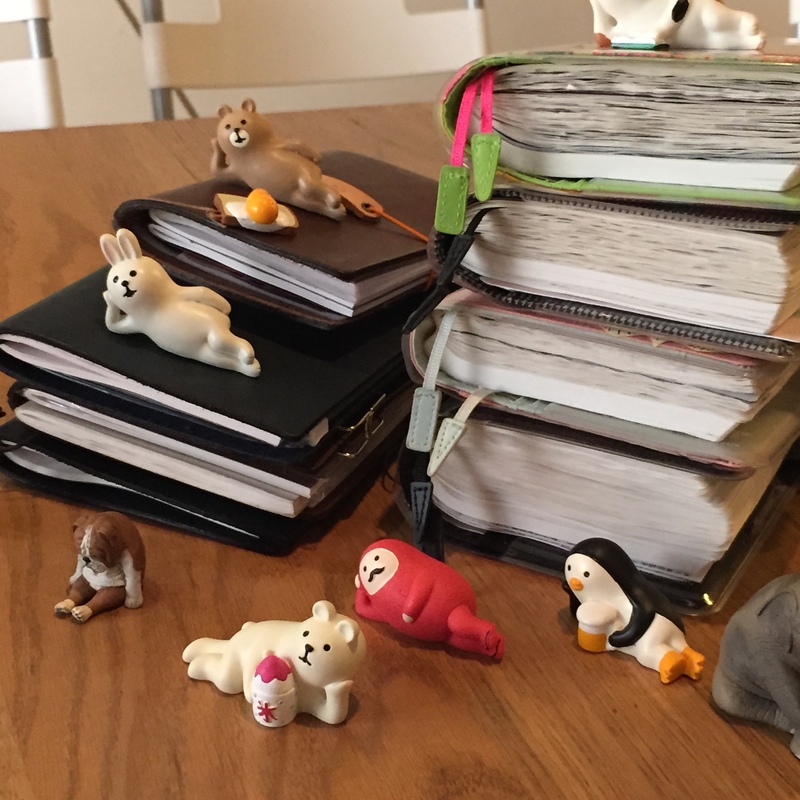 I started writing since November in 2014, and vigorously continued throughout this year. Sometimes I do get lazy and let two or three pages pass by. Some days are so eventful that I barely have space to write down everything, and I wish I was using an A5 size instead. The best part about this journaling habit is that I have an excuse to lounge at coffee shops and try to fill up the empty pages! 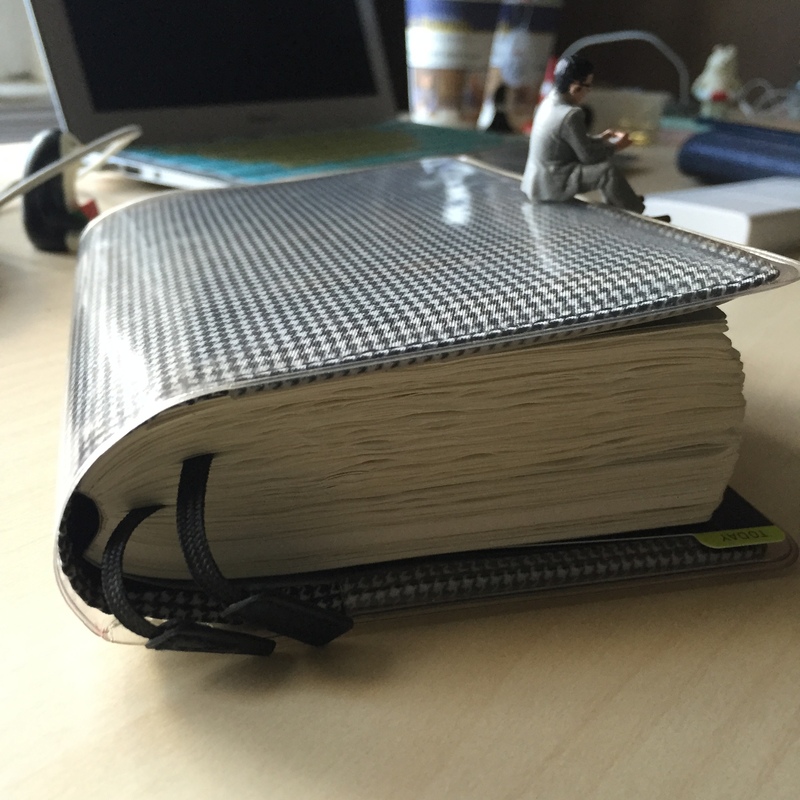 The A6 Hobonichi is such a portable size. 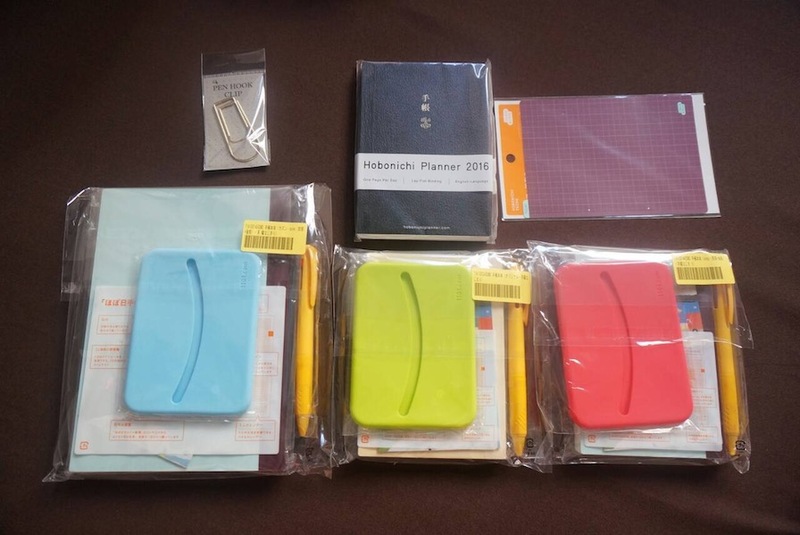 It fits easily into any bag, and the Nylon cover gives the vulnerable Tomoe River paper good protection. 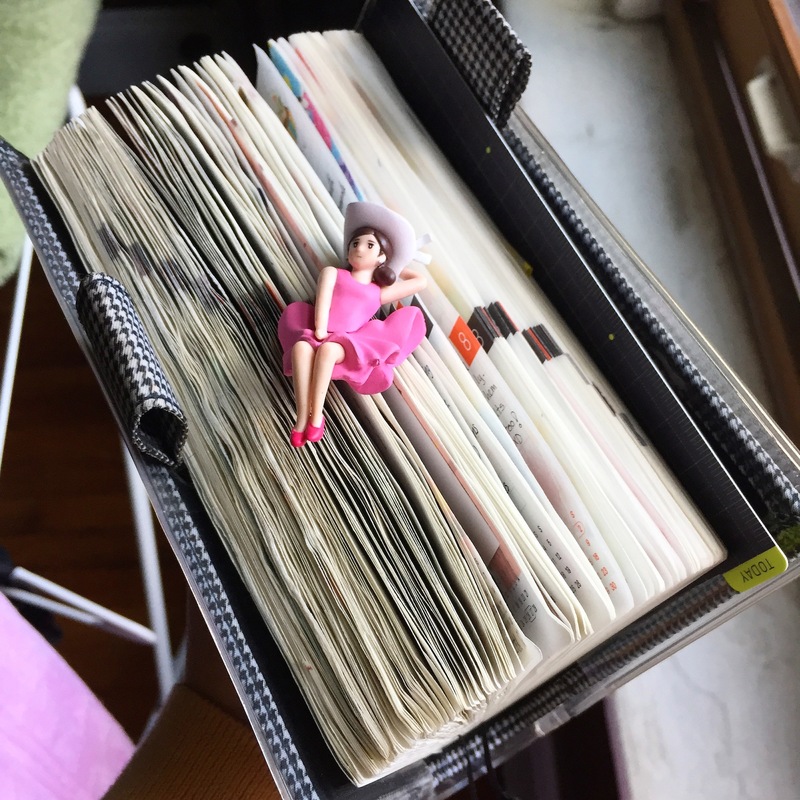 However, because there are a total of almost 400 pages in this booklet, it really does get bulky throughout the year, especially if you are an avid washi tape user. 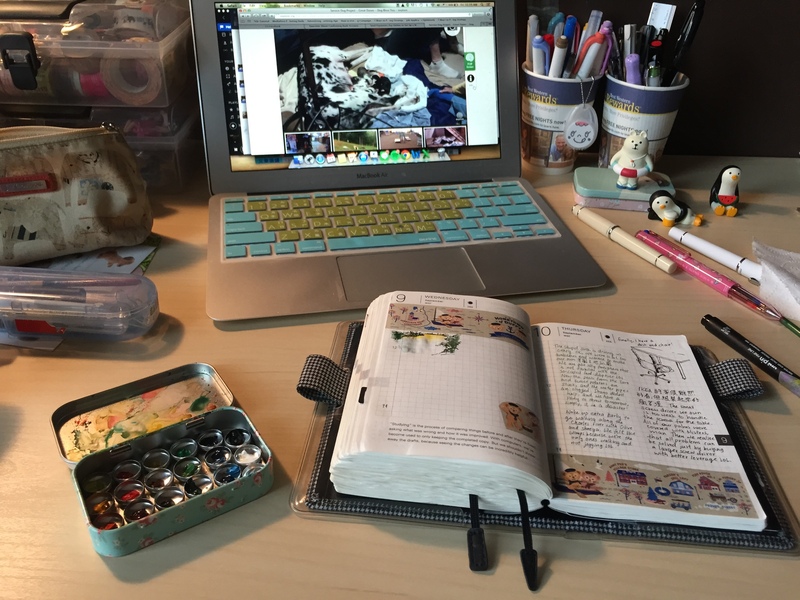 In my Hobonichi, I mainly draw and paint water-colour, while occasionally decorating the sides with washi tapes and stickers. Because printing out polaroid photos are super convenient in Taiwan, I ended up pasting many photos in my daily entries as well. I do practice caution and try to space out locations where I stick photos on each page so that no particular area gets extra bulky. On slow days, I would just draw randomness to fill up space. 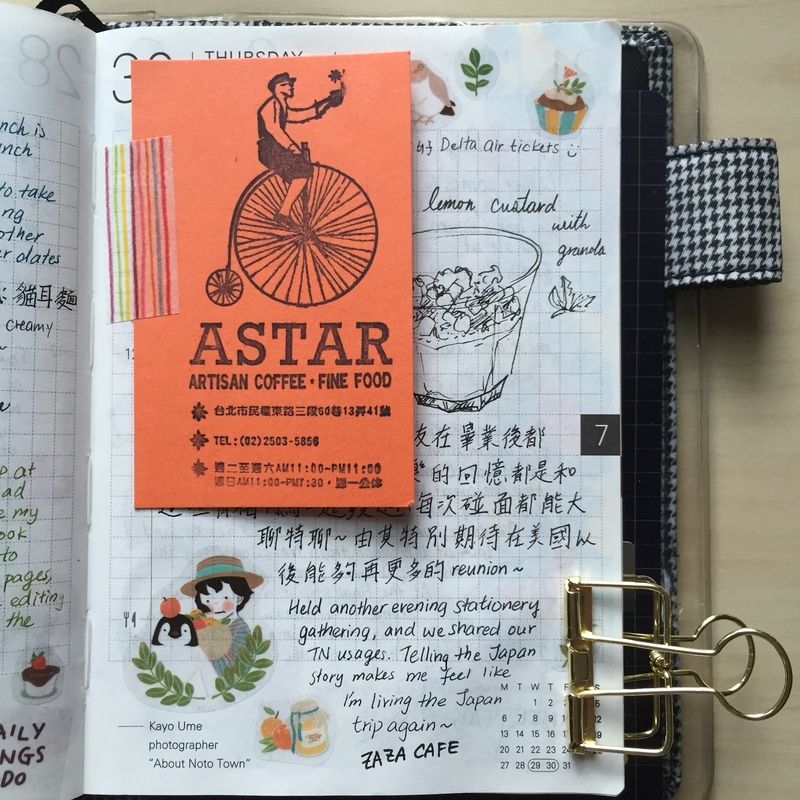 Writing in the Hobonichi has helped me develop a journaling habit each day. I find that it forces you to look at each day and find some meaningful things to remember. I love how I diligently record the highlights of everyday throughout the year. This way you won’t feel as if another year has passed and nothing has been accomplished! 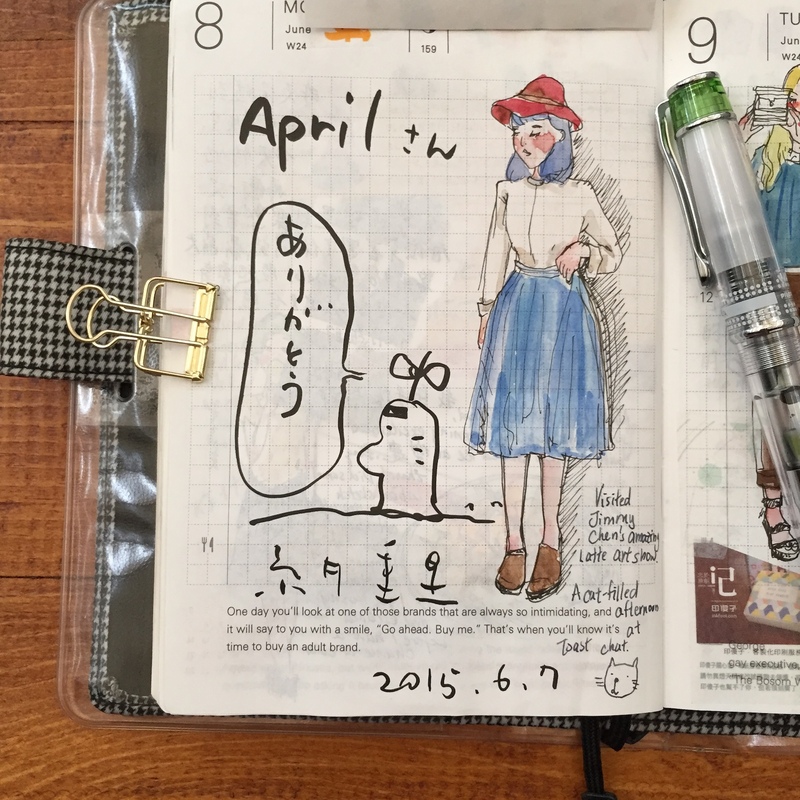 The Hobonichi community is super fun and supportive. It is through these Planner discussions that I met some really good friends! 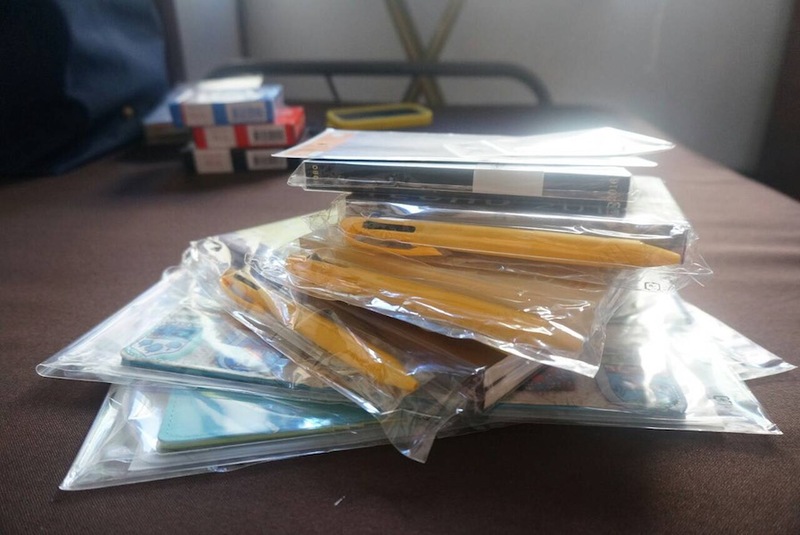 Then all types of stationery meet ups happened and you want those amazing people to leave some footprints in your hobo –> the Hobo swap! Mr. Shigesato Itoi’s (the founder of Hobonichi) signature!!! 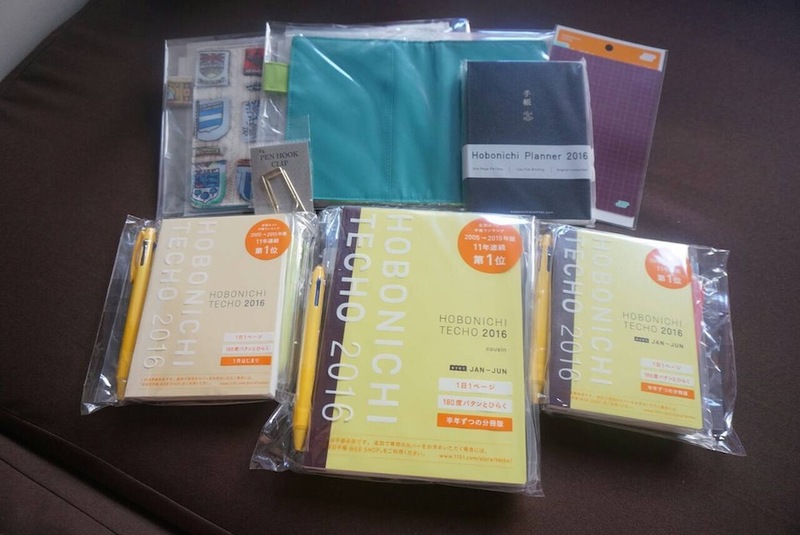 For year 2016, I’m definitely moving on to using an A5 Cousin Hobonichi. The size of the page will allow enough palm space for me to write more comfortably. Most importantly, I’m converting to an Avec (which is two separate booklets: Jan-Jun; July – Dec)! 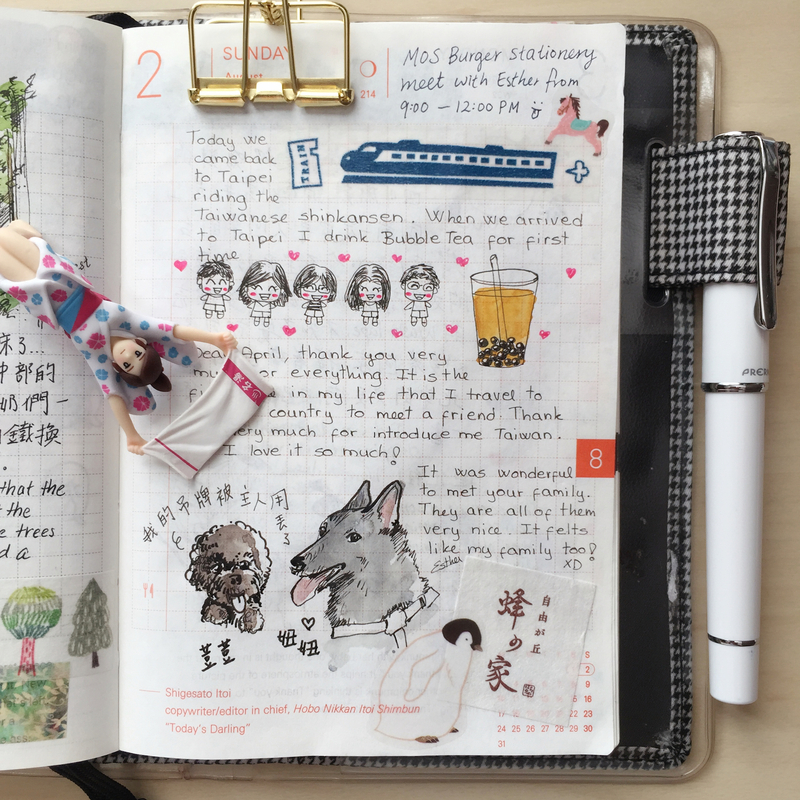 I will definitely miss being in the Hobonichi Brick Party, but I will be more free to use as many washi and stickers as I want! 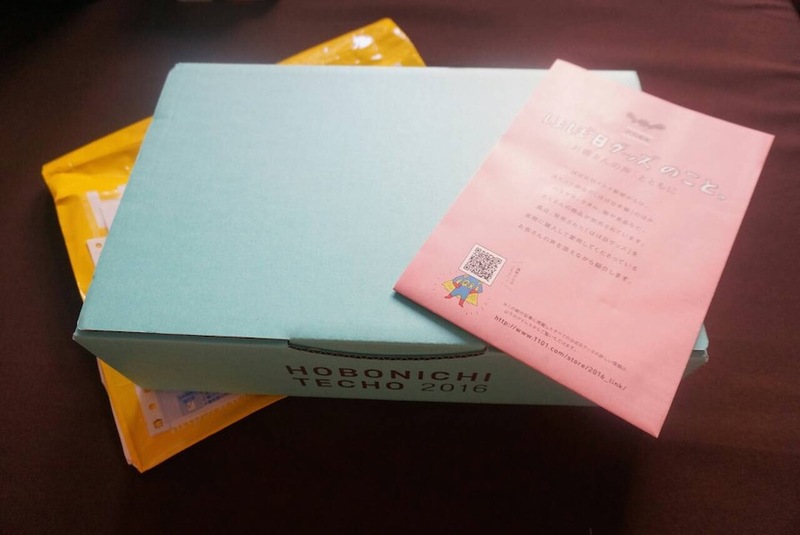 My order was made on Sept 2nd and now it has arrived safely at my house in Taiwan, awaiting my friend to pick it up and take it to me later this month to Boston. Meanwhile, here’s a sneak peak of my 2016 Haul through my sister’s virtual unboxing! Some of these belong to my sister and my aunt, but my order consisted of the A5 and A6 Avecs and the Blue-Green cover! Wait till I pair it with the forest clear cover from year 2015!!! 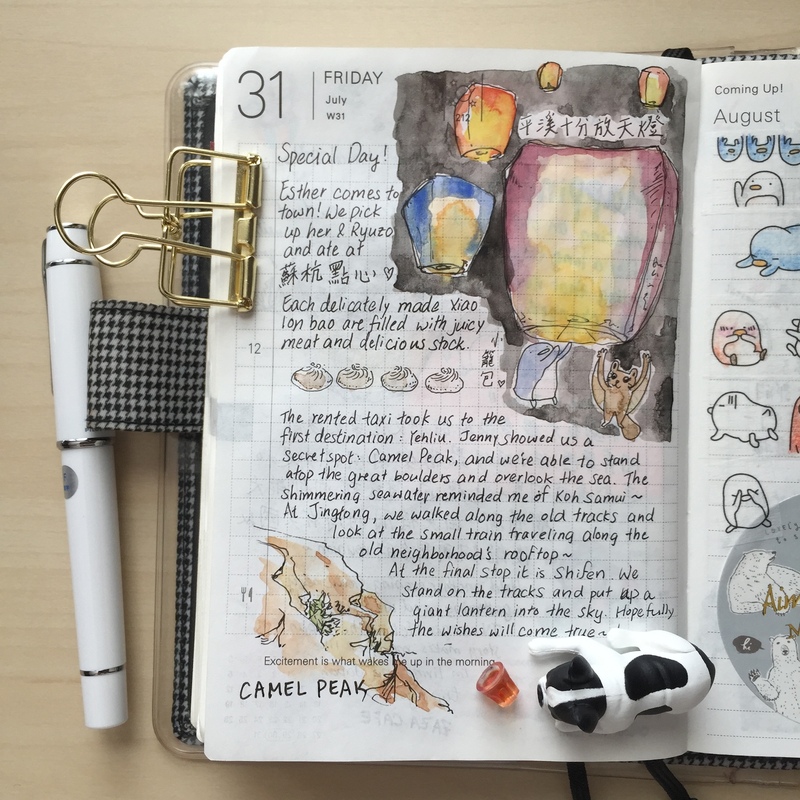 This is the end of my 2015 Hobonichi reflection and here’s a beautiful picture of my Hobo in all it’s doodle filled glory! Here’s to hoping next year will be equally fun and exciting!!! Your artwork is so amazing, April! 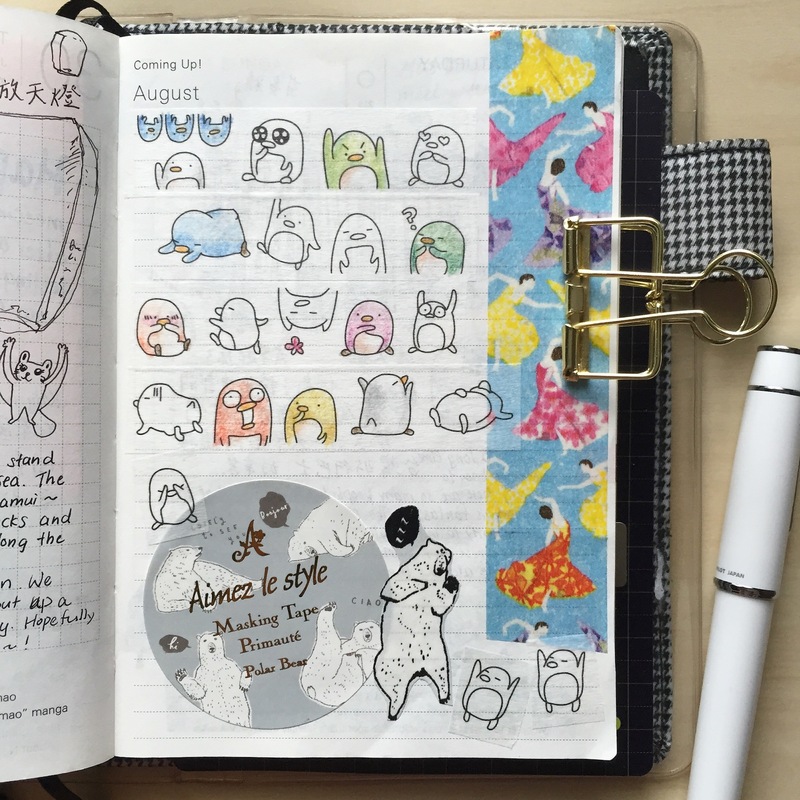 I absolutely love your Hobonichi pages :). 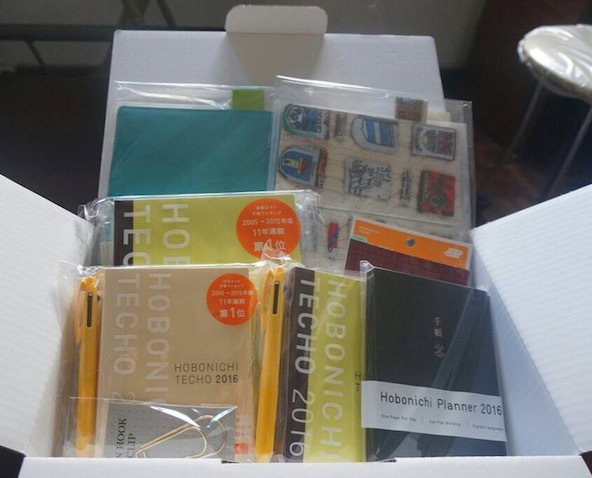 I totally understand that you want to use the avec notebooks next year, the techo gets soooo huge after using it for the entire year. 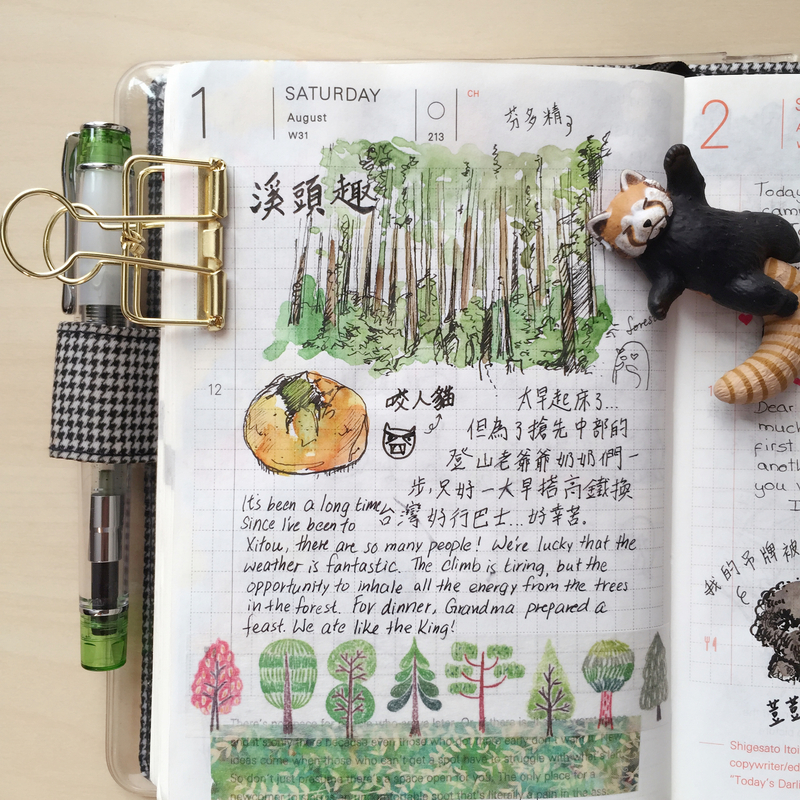 I love your Hobonichi! Can I ask where you got the salary man mini figurine and the bulldog one too? I’ve been looking everywhere for mini toys like this with no luck. thanks! Ahhh I found these particular ones in Tokyo at street-side gashapon machines! You could use the keyword “gashapon” to search for them!